There are projects galore for the new babies in your life. Here are a couple posts on cute baby gifts. 1. 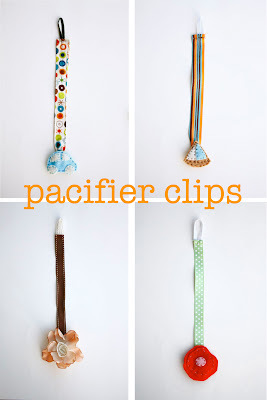 Disney posted a tutorial for a paci clip - super cute ones too! 2. Homemade by Jill did a great roundup of her favorite baby gifts. 3. 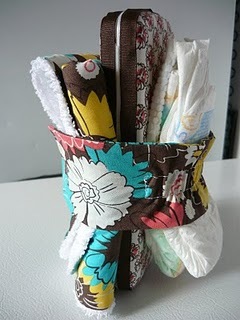 I found this tutorial by Small Fry & Co to a folding changing pad/carryall courtesy of Ucreate! 4. 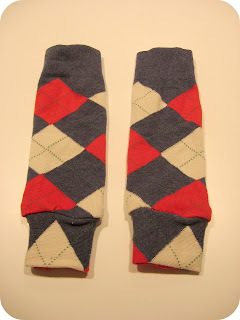 A combination of these two adorable items would make a perfect gift - leg warmers by Homemade by Jill and a Ruffle-Bottom Onesie from Ucreate! 5. 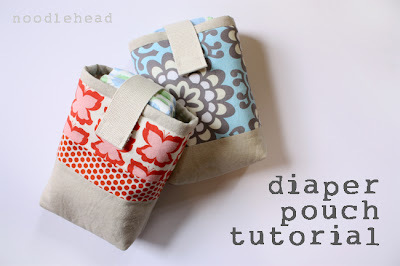 Noodlehead just posted this tutorial for a diaper clutch. Great for my purse!